Partnering with the Frenemy is a book for anyone who ever wondered how 1+1 could equal 3. This is the concept of synergy, or earning more returns together than you could have earned alone. Partnering relationships hold the promise of all things good, but the reality is that more partnering efforts fail than succeed. 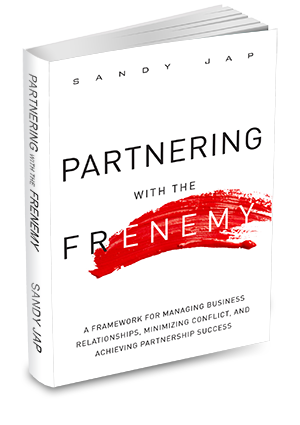 This book explains what drives the dark side of partnering relationships, why partners who start out as friends inevitably wind up as enemies and most importantly, what you can do about it. 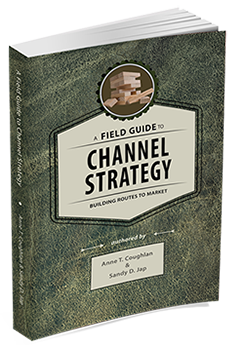 A Field Guide to Channel Strategy is a how-to book for demystifying marketing channel strategy, design and management. Channel management goes beyond consumer advertising and retailing to study how organizations make products and services available to intermediary firms at the right place and time as well. We provide practical tools and frameworks for key decisions and highlight the critical tradeoffs and pitfalls in channel implementation. Our focus is not merely on informing, but also DOING channel strategy.